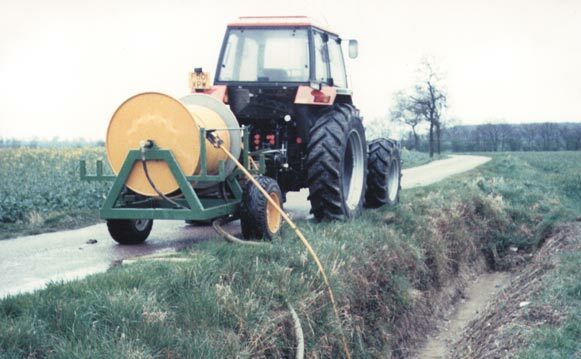 Existing drainage systems are a very important part of modern agriculture and will need maintenance from time to time to ensure that they still perform to required standards. The best way to ensure continued performance is to have the drains jetted using our high pressure jetter. This machine will not only remove sand, silt and clay deposits from the drain but is also powerful enough to dislodge and break down ochre deposits and even cut through roots which have found their way into the drainage system. Ideally carried out in the winter months when the drains are flowing (or should be) jetted drains can show a marked improvement in performance and can delay or negate the potential cost of a replacement system. Alongside the jetting service we provide, we can also carry out investigation works to see why the drainage system is not performing as it should be. Whether this involves locating junctions to check connections or more in depth examination of the pipes itself, it is a service that we are proud to offer as we like to ensure drainage is not just a short term investment.